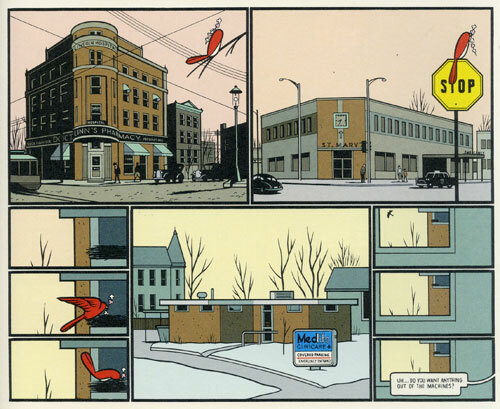 Selection from Chris Ware‘s graphic novel, “Jimmy Corrigan: The Smartest Kid on Earth” (Pantheon Graphic Novels, 2003). This entry was posted in Sample Posts by Your Professor. Bookmark the permalink.